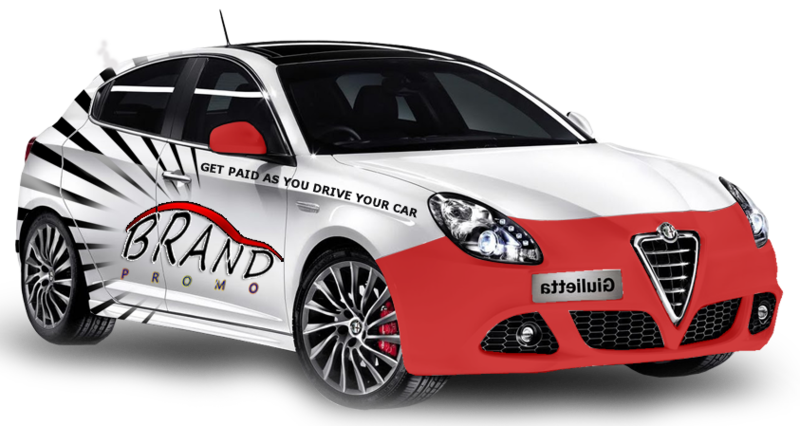 Do you want to make some extra income with your car? Yes you can. If you have a car and you do some daily travelling, you can make some extra bucks every month. Up to R4000 a month, read more below. Be prepared to enter into a contract. We generally prefer long-term commitments. You determine how the advertising message will be displayed on your car. It could be vinyl graphic panels, magnetic signs, bumper stickers or a complete at car wrap. We Ensure that the material to be used is not harmful to your car exterior. We expect you to be be prepared for regular inspections and spot checks from Brand Promo. We choose a brand that you would love to advertise and goes well with your lifestyle and driving habits. We expect you to Keep Brand Promo informed if there is any change in your driving pattern. Relocation to a different place, enrolling your child in a new school and having a new job are instances when your driving patterns could be altered. You are expected to Maintain your car well and keep all documents up-to-date. Inform us immediately in case of any damage to the car or the advertising message. Avoid any run-ins with the law. Drunk driving records, road tax evasions or violation of speed limits are strictly prohibited. You may have to respond to curious onlookers who ask about the product or the advertisement. Advertisement typically pays between R1000 – R4000 per month. Take your time when filling out the application as this information will be used to select the drivers during our campaigns. It does not matter what you do for a living, you can earn money while you drive! Make sure you accurately fill out your Application Data From next and we will do our best to match you up with an advertiser.